Every year during the months of May and June, the high passes of Himalayas witness activity as the Chinese cross over and intrude on Indian territory. The Himalayan snows will soon start melting. Every year during the months of May and June, the high passes witness activities not in consonance with the majestic peace-conducive surrounding peaks. This year again, the Chinese will cross over and intrude on the Indian territory, or to put it nicely like the spokesperson of the ministry of external affairs does, “in what we perceived our side of the border”. The fact is there are today two Lines of Actual Control (LAC) on the 3,488km-long frontier: the LAC "perceived" by India and the Chinese one. It is said that there are as many as 23 spots where there are differences of "perception" from Ladakh to the east of Arunachal state; at most of these places, "transgressions" are bound to happen. A year after the Doklam episode, is India ready to tackle the situation? 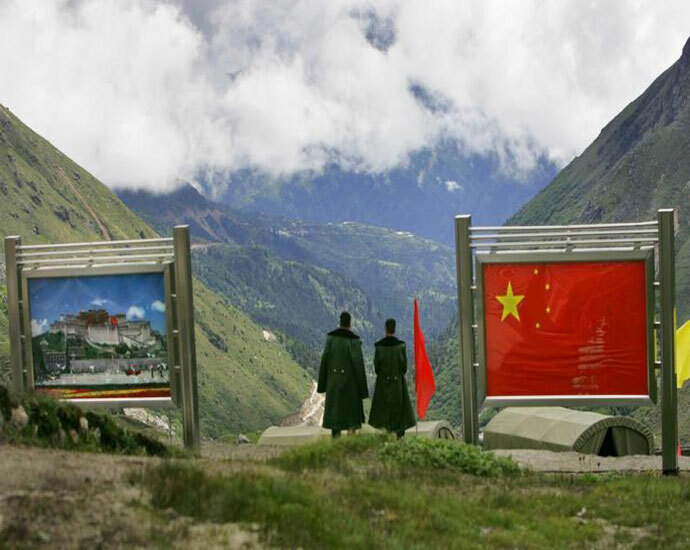 China is undoubtedly prepared, far more than last year when the People’s Liberation Army (PLA) got surprised by India’s decision to defend Bhutan and not permit a road on the latter’s territory. During the last few weeks, the Chinese media is full of the news about exercises conducted by the PLA on the Tibetan plateau. And it is not only the ground forces which are practising; the PLA Air Force (PLAAF) often joins in. On April 10, The Global Times reported that a PLAAF brigade, belonging to the Eastern Theatre Command, “successfully hit all targets with four rocket-propelled grenades after it conducted its first live-fire drill on a plateau (read Tibet), a move hailed by experts as a significant progress on the military’s capability in cross-regional missions”. You may say that it is just a PR exercise to impress Indian forces on the other side of the Himalayas. The Communist tabloid recently announced that the PLA “has strengthened its power and management in border defence by developing new types of equipment that can be used in all environments, including those with extremes of temperature and topography.” Though no particular border is specified, it is clearly a message to India. The Beijing Evening News gave a long list of new gadgets to defend China’s borders: “A satellite early-warning monitoring system is planned in some border areas… difficult to enter and patrol.” It clearly points to some remote places in Arunachal Pradesh, still considered by Beijing as part of Chinese territory. The newspaper also speaks of a surveillance camera network built in border regions, “the density of coverage is set to increase to cover blind spots”. Add to this, a far greater informatisation and mechanisation of an entire range of equipment to provide an early warning. The level of automation of the PLA’s equipment is also said to have greatly increased; it includes the usage drones and setting up of unmanned monitoring systems. And of course a BeiDou enhanced satellite navigation with a real-time communication system. As a bonus, scout vehicles have water filters, a kitchen and a toilet and… a new type of hot water bottle that can keep water hot for 24 hours. In the meantime, PTI has reported a new incident in Arunachal Pradesh; for once, it is China that lodged a protest against the Indian Army for "transgressing" in Asaphila, a strategic border area in Upper Subansiri district. When the Chinese raised the issue during a "Border Personnel Meeting" (BPM) on March 15, the Indian Army had to explain that the area belongs to India and it regularly carries out patrols there. It appears that Asaphila has been specifically mentioned by the Chinese because it lies south of the village of Yume, adopted by Xi Jinping, the PLA’s Helmsman, during the 19th Congress in November 2017. Since then, the 34-inhabitants hamlet has become a "model" village for entire China and one of the sisters, who originally received a missive from Xi, has already become a deputy to the National People’s Congress. For India, Beijing’s’ message is: “Please don’t come close to a village adopted by the Emperor!” And is India ready? Not really. Though perhaps an exaggeration, Kamath quoted the report of the Parliamentary Standing Committee on Defence which was "a proof of our inability to stand up to China." He particularly complained about “a meagre defence budget that is inadequate even to foot the committed liabilities, let alone modernisation.” This is, unfortunately, a fact. Will China force India to wake-up? Not sure, the elephant is always thick-skinned and slow; the dragon is definitively swifter. It does not augur well.